Welcome to the 1st annual Chicago's Finest "The Windy's" Awards All-City Team presentation. Derrick Rose dazzled the league with his hard work ethic and an even harder knack for making it to the basket by any means neccessary. 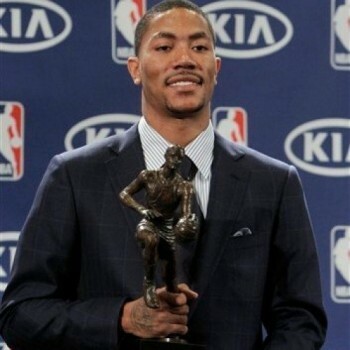 Did I also mention he was the 2010-11 NBA MVP? 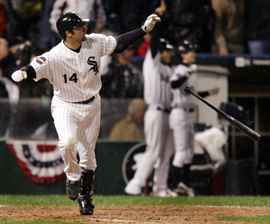 With all the attention turned towards Adam Dunn and historical season slump, Paul Konerko seemingly flew under the radar as the Chicago White Sox best offensive threat. Leading the Sox in HR's (26), RBI's (79), and batting average (.305). For Chicago Sky fans, there isn't an award high enough for what Sylvia Fowles does for the Chicago Sky. Fowles has improved in every season she's played for the Sky and was elected to three All-Stars games, one of which she dunked with time running down. She also currently leads the WNBA in 10 statistical categories. The very fact that Devin Hester made this list as a return specialist signifies his dominance for the Chicago Bears. Returning three punts last season, Hester cemented himself in gridiron history, setting the career mark for kicks returned for touchdown (14). While the Devin Hester Project remains a mystery as of it's success, the Bears recently announced that Hester will now fully assume both kick and punt return duties now that Danieal Manning is no longer a Chicago Bear. 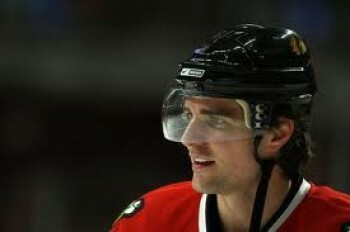 Sharpie was the quiet leader of futile 2010-11 Chicago Blackhawks. Leading the Hawks in goals scored (34), and power play goals (12), Patrick was the most consistent force while on the ice. Unfortunately, injuries limited his play to 74 games, Sharp just might have lead the Hawks in all major offensive categories. Sharp also scored one goal and assisted two others in the 2011 NHL All-Star Game. Sharp also just signed a long awaited contract extension worth $29.5mil for five years. Starlin Castro has been the biggest buzz all summer in Chicago. The heralded Chicago Cubs prospect took no time shedding his rookie image, leading both the team and the majors in runs and RBI's. He tinkered a bit near midseason scoring and on defense, but is back in star form for the Cubs heading down the stretch. Marco Pappa Playing Soccer Tennis. Amazing! The 23yr old Guatemalan midfielder has branded himself as the face of the Chicago Fire franchise. And he can back it up with 5 goals (one game winning), and an assist on 56 shots so far this season, totaling 17 goals on 182 shots for the season. Pappa was taken off loan from CSD Municipal following the 2009 season, locking himself in through 2012. Brian Urlacher is back at proving critics wrong as he returned from season ending wrist injury back to Pro Bowl form. Urlacher reasserted himself into the Bears defense like he had never left, leading the team in tackles (97, next closest Bear was Lance Briggs with 75), assists on tackles (28), and was second in sacks (4) and passes deflected (10). 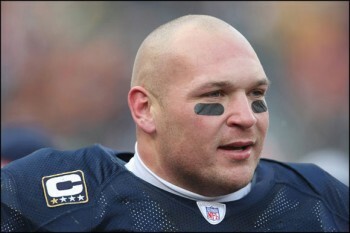 If Urlacher plays this season anywhere close to the way he did the previous, he will definitely make the first team. This is sort of a statement here at "As I See It," as a true Cubs fan I feel like there are some casualties to bad seasons such as the one that the Cubs are experiencing this season. And the casualty in this case is starting pitcher Matt Garza. Yielding the lowest ERA (3.81) in the rotation and leading in strikeouts (128), at 5-9 Garza is a victim of no run support. So with that said, he earns a spot on the All-City 2nd team. Loul Deng may have finally broken out of shell this past season for the Chicago Bulls. One of the league leaders in total minutes played he proved to critics that he can not only be durable for an entire season, but that he can be the league's best at it. He also helped Derrick Rose with some of the scoring load, being the teams second leading scorer (1,430pts), assists leader (230) and durability. 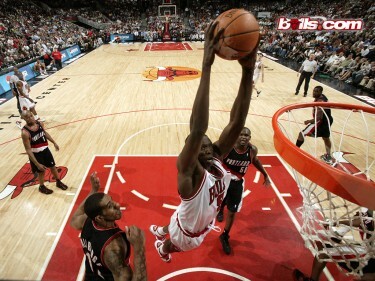 Luol Deng definitely deserves a spot on the 2nd Team All-City. Epiphanny Prince is not the Robin of the Chicago Sky, she's more like Lucious Foxx, orchestrating the Sky's offense like a conductor (15ppg, 3.4apg) and leading the defense like a true captain (2.8 steals per game). Price also was voted into the 2010-11 WNBA All-Star Game, scoring 8pts and nabbing two steals. With the Sky drafting Courtney Vandersloot, it should take some of the load off of Prince and put her back at her most comfortable position at the 2. 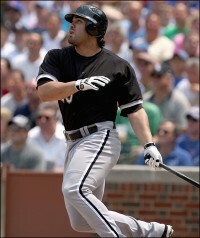 Carlos Quentin is the definitive right hand man to Paul Konerko, keeping pace with him in all major scoring categories. Quentin is second on the team in home runs (24), RBI's (71), OBP (.347). Quentin represented the Chicago White Sox in the 2011 MLB All-Star Game. Dominic Oduro is undoubtedly the Fire's best scoring option this season with 6 goals. He also leads the Fire in contributions with 2 assists. He ranks second on the team in minutes played with 1,596. Oduro's inability to score for the Fire in crunch time with zero game winning goals is the sole reason he did not make the 1st Team All-City.